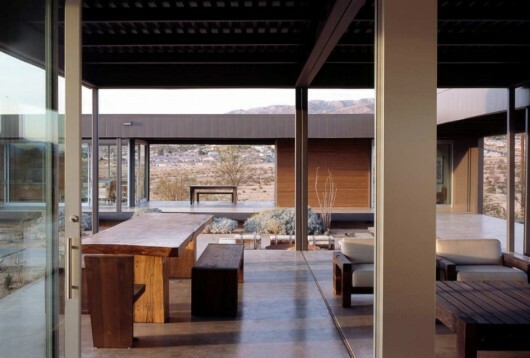 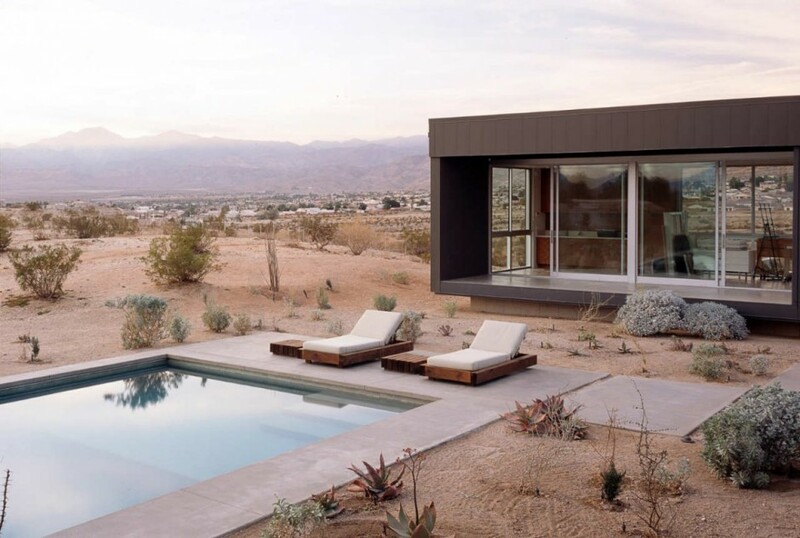 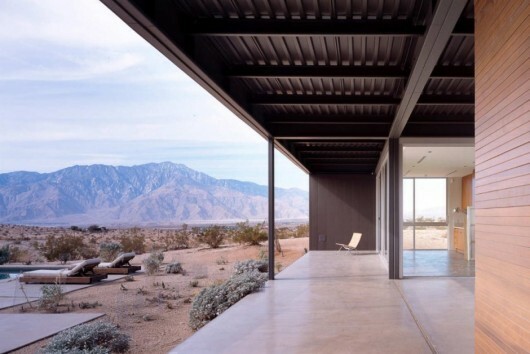 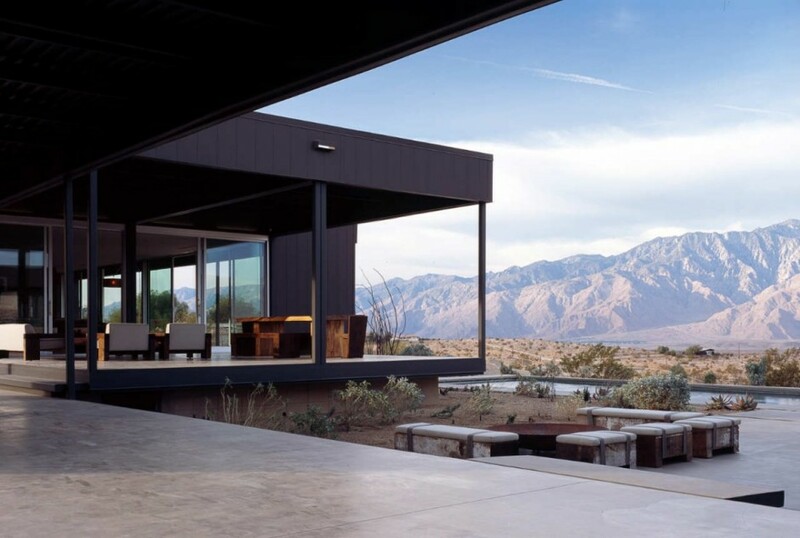 Desert House by Marmol Radziner | Shelby White - The blog of artist, visual designer and entrepreneur Shelby White. 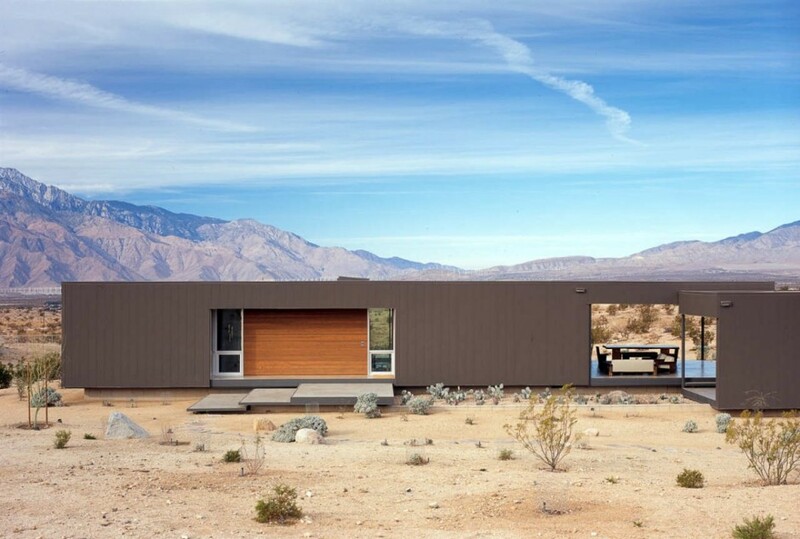 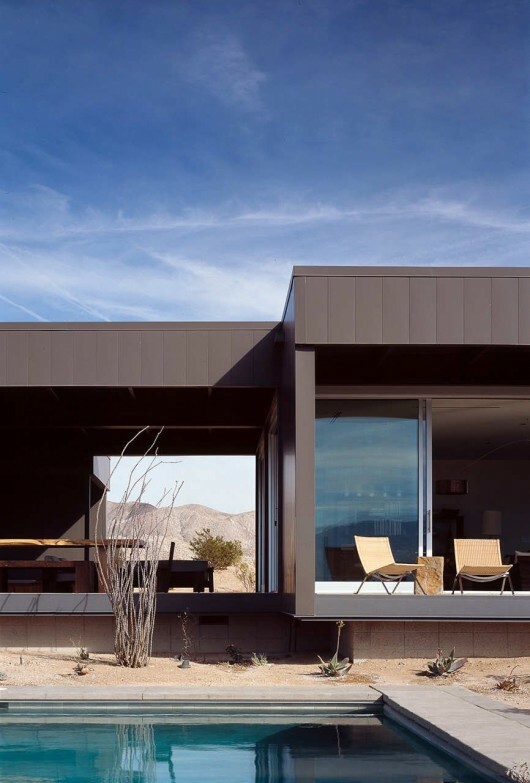 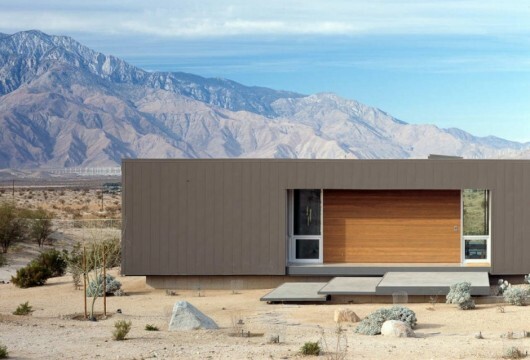 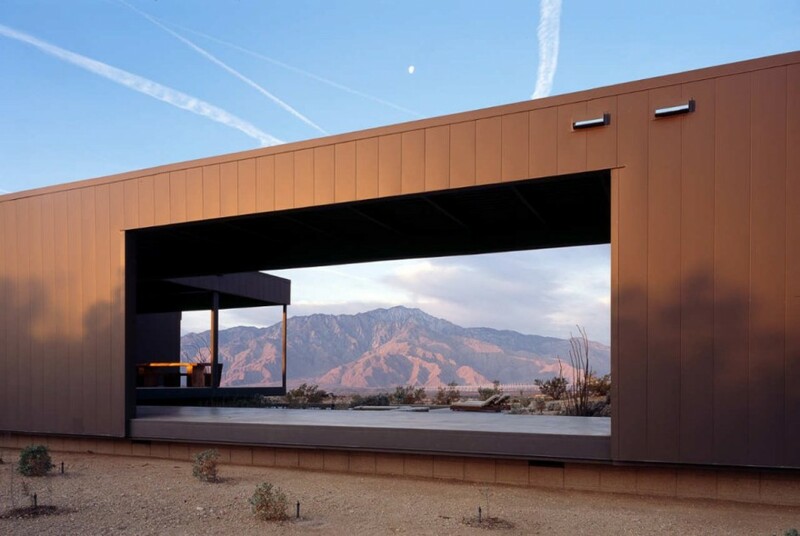 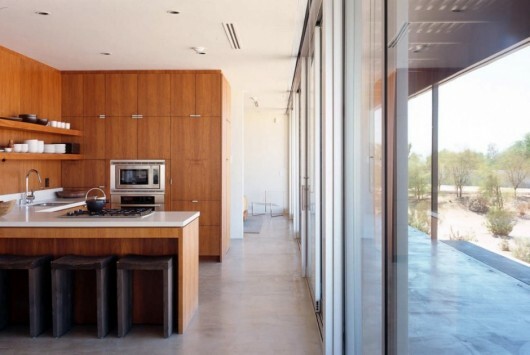 This prefab home was designed by Marmol Radziner and is located on a five-acre plot in Desert Hot Springs, California. 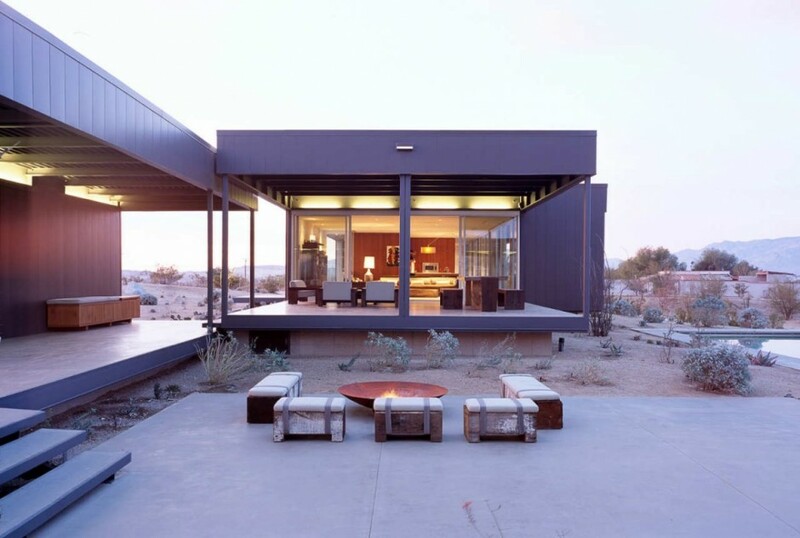 The indoor and outdoor living spaces, in both design and color, fit well with the surrounding landscape. 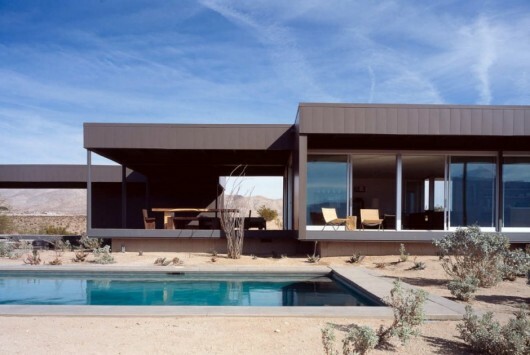 The “L” shaped layout helps protect the courtyard which includes a pool and fire pit.